Vegetarian Ayira meen kulambu’ (Ayira meen – very tiny fish, vazhaipoo tend to look like tiny anchovies, appearance, and taste. Here we follow the same recipe with vazhaippoo. 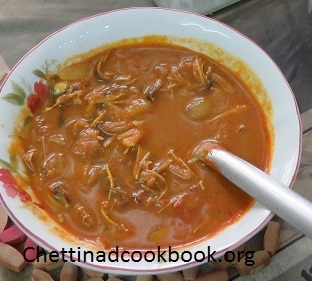 Tangy and spicy, delicious curry with numerable health benefits. 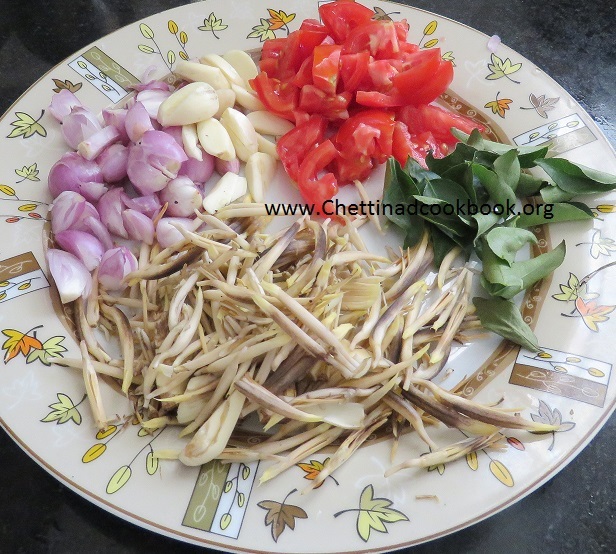 Banana flower or vazhaipoo one of the healthiest veggie. Very good for women in all ages, it has more fibre, High in iron content. Try this recipe you will really love it. How to clean banana flower? Open the florets one by one by rubbing the tip gently, using the tips of your forefinger and thumb.Pull out the hard plastic like stigma from the centre of the floret, and also the plasticky sheath like sepals which cover each floret. Put the florets and immediately immerse in watery buttermilk to prevent blackening of the flowers. Heat 1tsp of oil in a pan and fry the above item, allow it to cool and grind it to a smooth paste. Keep it aside. Heat wide mouth kadai, add the gingelly oil and mustard, once splutters add the curry leaves. Add the chopped onion, Garlic and saute till it turns brown, add sliced tomato. 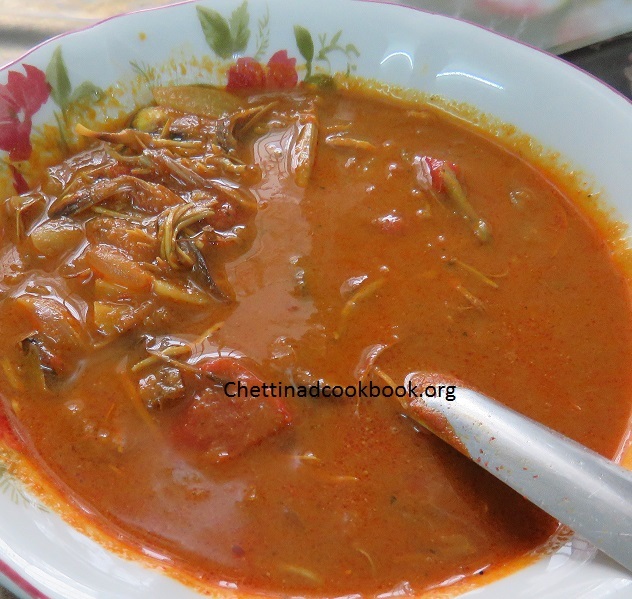 Now add the banana flower and saute well. then add the masala paste we ground, salt , masala powder, turmeric powder and mix well . Then add the tamarind juice, salt and add 2cups of water. Allow it to boil on a medium flame for few minutes. At one point, the oil oozes out now switch off the flame. This will be the greatest replacement for non – vegetarian.